"Michael Cabot's mesmeric interpretation is a Greek tragedy in many senses, played out on Kerry Bradley's thoughtful, dimly-lit set resembling an ancient stone amphitheatre, and bordered by an arc of skeletal horse heads hovering in the gloom like disembodied Spartan warriors. It's claustrophobic and choric; the cast never leaves the stage, instead maintaining a silent vigil, as Alan's torments multiply beneath their collective fixed gaze. 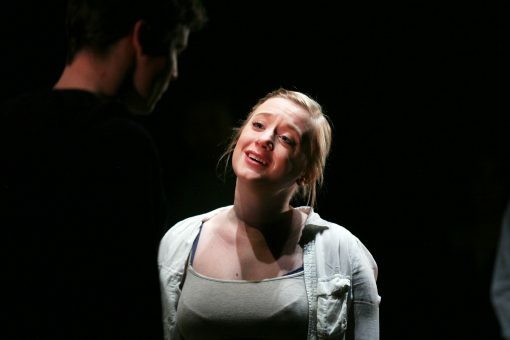 The dialogue barely rises above a whisper on occasions, and every performance, while strong and pivotal, is noticeably understated and controlled, commendably avoiding any histrionics that would diminish the story's power." "I knew Equus wasn’t going to be comfortable viewing. And I was right. What it was however, was disturbing, intense, shocking and probably the best piece of theatre I have seen in recent years." "There’s something raw and frightening about London Classic Theatre’s production. In Kerry Bradley’s inspired set design - a semi-circle of stone-coloured steps, like an amphitheatre in miniature - there’s no escape for the characters in Peter Shaffer’s play. 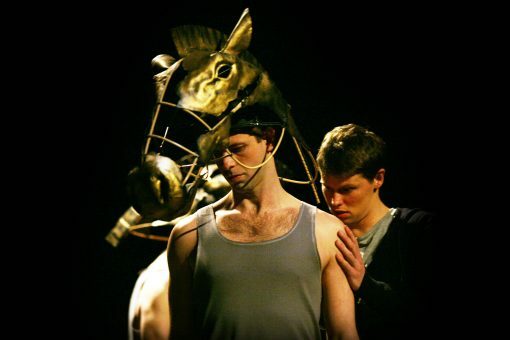 Michael Cabot’s direction exploits this tension, from Strang’s obsessional fantasies - including sequences of physical theatre in which he re-enacts riding on his beloved horses - to the power of the performances." 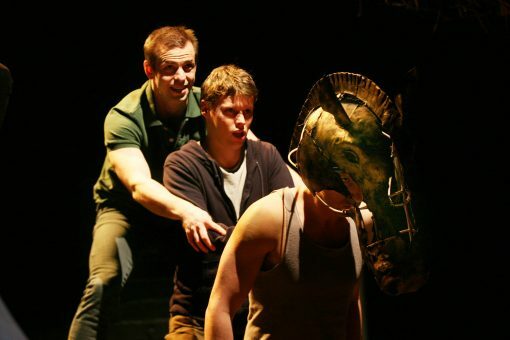 "The heads of horses silently surround the stage in London Classic Theatre's compelling production of Peter Shaffer’s unique psychological adult thriller. They watch the action before rearing to life to fill Alan’s world. 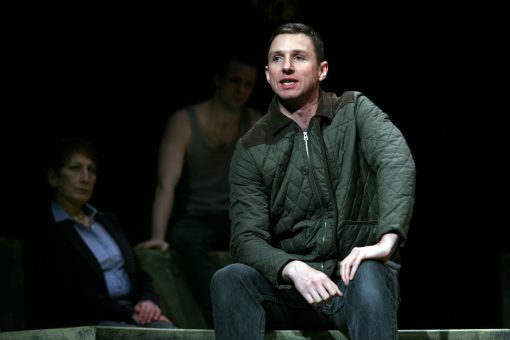 Matthew Pattimore presents a youth filled with anger at the world, but with an aching vulnerability that draws in the audience and makes them fill his pain. He’s battling more than the normal package of teen demons and the production is as fresh and haunting as when the play was first staged back in 1973. An outright winner." "The ensemble cast are all excellent. Particular mention must go to Stuart Angell who brings Nugget, one of the horses and a favourite of Strang’s, vividly to life. Wearing one the of aforementioned horse’s heads and moving with balletic grace, the suspension of disbelief is completed by realistic horse sounds. This was quite breathtaking." "London Classic Theatre has visited the Everyman Palace many times in recent years but this is probably their best marriage of play and production. 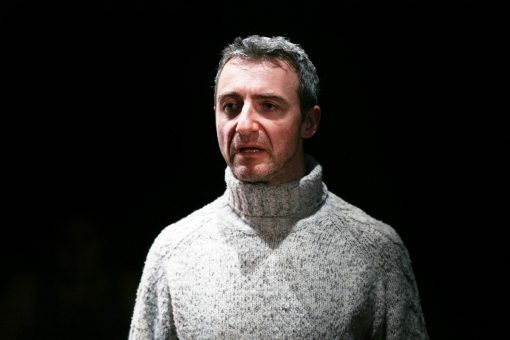 Matthew Pattimore is very convincing in portraying both the brittle vulnerability and stirring passions. Malcolm James gives a fine performance as he offers himself as our conduit for the teenager’s agonies but also offers us a whole host of questions about our lives." 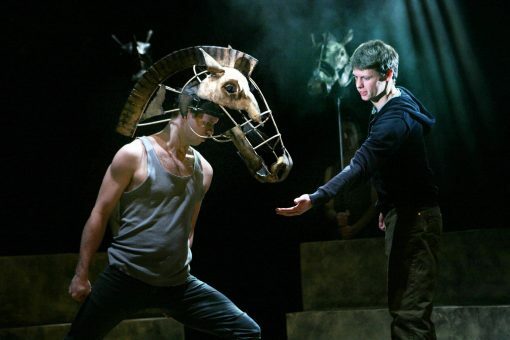 "Although the premise of Peter Shaffer’s psychodrama is the shocking blinding of six horses with a metal spike, there is little judgment of the 17-year-old perpetrator, Alan Strang, brilliantly played by Matthew Pattimore. It is to the actor’s credit that this disturbed character is sympathetic. Pattimore’s portrayal is of a gauche, angry and confused teenager who is initially resistant to the probing of his psychiatrist." Carole Dance, Steve Dineen, Aidan Downing, Malcolm James, Anna Kirke, Jamie Matthewman, Matthew Pattimore, Helen Phillips (2011). Stuart Angell, Steve Dineen, Malcolm James, Fiz Marcus, Jamie Matthewman, Matthew Pattimore, Helen Phillips, Joanna Waters (2012). Theatre Royal Winchester, Oldham Coliseum, Gala Theatre Durham, Everyman Palace Cork, Coventry Belgrade, Everyman Cheltenham, Greenwich Theatre, Theatre Royal Windsor, New Vic Theatre Newcastle-under-Lyme. In a Hampshire stable, a youth blinds six horses with a metal spike. Convicted of this appalling crime, seventeen-year-old Alan Strang is sent to a secure psychiatric hospital. Martin Dysart, the child psychiatrist assigned to him, begins to probe Alan’s past in an attempt to understand his motives. Initially the boy is silent and uncooperative, but as Dysart digs deeper, he gradually gains Alan’s trust and the truth begins to emerge. As Alan struggles to be free of his demons, he must first relive the events of that terrible night. Inspired by a true story, Peter Shaffer’s unique psychological thriller explores the complex relationships between worship, myth and sexuality.